A new session of Hot Off the Press will begin in April 2016. Save the dates: Tuesday evening, April 5th, May 3rd, May 31st, and June 28th. 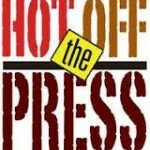 Book selections to be announced soon! In this lively monthly book discussion class led by Lynn Rosen, participants read and discuss new literary fiction. 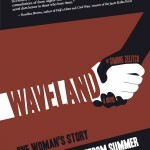 Class conversations include analysis of the book as well as background information provided by Lynn about the author and the book’s path to publication. We talk serious book talk, but have a lot of laughs too! Class members also receive discounts if they purchase their class books from the Open Book Bookstore. The author of Serena (one of my favorite novels published in the last few years) is back with another book set in Appalachia, a country the author knows well and in which he explores, in poetic language, characters’ strong connection to the land. Books are available now! Call 267-627-4888 to reserve your copy! This new novel by Clegg, a former literary agent and author of the acclaimed memoir Portrait of an Addict as a Young Man, has been nominated for a Man Booker Award. This fiction debut explores the after-effects of tragedy. Another favorite author returns with a new novel that explores marital dynamics in her trademark insightful (and mythological) way. A look behind closed doors that is both comic and tragic. Note: Join me to hear Lauren Groff speak at the Free Library of Philadelphia on December 14th. Eleven year-old Velvet, living in tough conditions with her mother and brother in Brooklyn, is sent, via the Fresh Air Fund, for two weeks in upstate New York to live with Ginger and Paul, starting a relationship that continues for several years and affects both families. Life in Seattle during the 1999 WTO riots as seen from the point of view of six different characters. Called a “raw and breathtaking” novel and published by the editor who also published The Story of Edgar Sawtelle. How to Love a Poem: A Poetry Party! Come join us as we party with poetry! Poetry lovers, we invite you to join us as we celebrate the season of love and the coming of Valentine’s Day with an evening of sharing poetry aloud. Local poets Margaret Sayers and Annie Boagni will lead an evening of poetry readings and recitations in which all are welcome. Some of you may wish to read a poem aloud to the group, and others might like to just listen. Either way, we’ll join together to appreciate the beauty of poetry. *Note: Please BYO adult beverage! 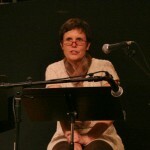 Margaret Sayers is a lover of poetry with a long list of favorite poets including Tony Hoagland and Kay Ryan. When she is not busy with her family, her multiple psychology jobs, or volunteer work, she writes poetry as well as flash fiction and short stories. Margaret is especially drawn to poems that capture the beauty of everyday and unexpected moments. Annie Boagni is a high school teacher who has always been enamoured with words. When her 2nd grade teacher wrote on the chalkboard: “Do you have the audacity to doubt my veracity or even insinuate that I would prevaricate?” she swooned. Since then, word work and word play have been a part of her everyday life. In addition to her pithy, and sometimes witty commentary on high school student essays, Annie writes poetry and fiction. Recitation: Did your high school English teacher make you memorize Chaucer or Frost or another well-known poem? Throughout the evening, we’ll invite guests to trot out that old poem and recite it for us. You may win a prize! The program will run until about 8:45pm. Open Book Bookstore will also have a selection of poetry books available for purchase. Call ahead if you’d like any volumes special ordered. And remember, spots for readers are limited, so sign up ahead of time! So many children’s picture books contain strong affirmative messages and beautiful art — all at a level that can be very meaningful to adult readers. Join us for a gathering of adults reading children’s books! You’ll hear from our expert speakers some of what goes into creating a children’s book and what makes it great (or not!). Julia Rix, a watercolor artist, will talk about the beginning stages of developing a children’s book illustration project as well as review some books that inspire her.  Lynn Rosen of Open Book Bookstore will talk about the characteristics of a good children’s book, what has changed lately in children’s book publishing, and what makes a classic a classic, all based on interviews with current children’s book editors. During the event, we will look at and read a selection of children’s picture books, including classics and new publications, and discuss what we like about them. This evening is also great opportunity to select some new books for your children and grandchildren, or for gifts. Feel free to bring along a favorite children’s book or two of your own to share! Also, we will be providing you with a list of the books we discuss, and they will be available for purchase as well. Heather Devlin Knopf will sign copies of her illustrated book, The Cow in Patrick O’Shanahan’s Kitchen, written by Diana Prichard. 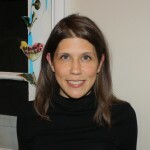 Heather Devlin Knopf is an artist/designer, educator, and children’s book writer and illustrator. 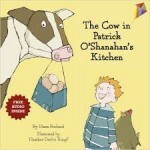 In 2013, Heather illustrated The Cow in Patrick O’Shanahan’s Kitchen, written by Diana Prichard and published by Little Pickle Press. A graduate of Carnegie Mellon University with a B.S. in Graphic Communications Management, Heather later completed an MFA in Illustration at the Hartford Art School at the University of Hartford. 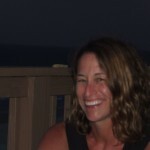 She is represented by the Andrea Brown Literary Agency and also teaches at Moore College of Art and Design and Philadelphia University. Originally from Boston, Heather now calls Philadelphia her home. Her two, highly imaginative boys continue to be a source of inspiration. Julia Rix earned an M.Ed. in Art Education from Tyler School of Art and taught Art, English, and ESL for Abington School District for 11 years. 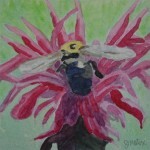 She is a member of the local artists’ cooperative MamaCITA and her watercolor paintings have won awards at both the Abington Art Center and the Cheltenham Center for the Arts. She studied with renowned children’s book author and illustrator David Wiesner and is currently working on her own publication projects. What do Genetically Modified foods, Freedom Summer of 1964 and building community through urban agriculture all have in common? 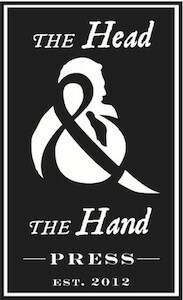 They are themes that can be found in the novels and short stories of The Head & The Hand Press. Of course these themes are also all social justice issues. 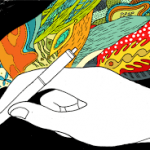 But as The Head & The Hand Press upholds its mission to tell stories that have the power to “change and entertain,” this Philadelphia publisher has added a literary depth to these issues that are at the forefront of progressivism in the United States. 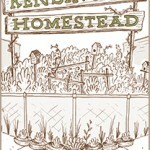 If your love of literature intersects with your passion for social justice, then please join The Head & The Hand Press and The Open Book Bookstore as we welcome Jon McGoran reading from his food advocacy essay “Long Range Meal Planning,” Simone Zelitch reading from her civil rights novel Waveland and Nic Esposito reading from his urban farming essay collection Kensington Homestead. 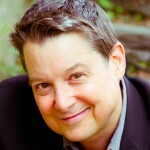 Jon McGoran is the author of six novels, including the biotech thrillers Drift and Deadout, as well as their forthcoming sequel, Dust Up (April 2016), all from Tor/Forge Books, as well as the novella After Effects, from Amazon StoryFront. Writing as D. H. Dublin, he is also author of the forensic thrillers Body Trace, Blood Poison and Freezer Burn, from Penguin Books. His short fiction and nonfiction can be found in a variety of anthologies, and his short story “Bad Debt” received an honorable mention in Best American Mystery Stories, 2014. He is a member of the International Thriller Writers, the Mystery Writers of America, the International Association of Crime Writers, and a founding member of the Philadelphia Liars Club, a group of published authors dedicated to writers helping writers. 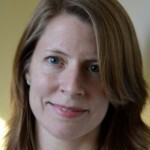 Simone Zelitch’s previous books include Louisa, which gained a starred review from Publishers Weekly and Kirkus as well as praise from the New York Times. She also the author of Moses in Sinai and The Confession of Jack Straw. Once a Peace Corps Volunteer in Hungary, Simone is now a professor at the Community College of Philadelphia where she coordinates the English Degree and established the Creative Writing Certificate Program. After developing urban farm projects in West Philadelphia with the organization Philly Rooted, Nic Esposito now c o-manages Emerald Street Community Farm with his wife Elisa as well as their own homestead populated by their son, Luca, a dog, a cat, and a whole bunch of chickens. He writes about social change, urban farming and sustainability for blogs and magazine and spoke on urban farming at the 2010 TED X conference in Philadelphia. He is the author of the novel Seeds of Discent and the essay collection Kensington Homestead. Nic is the founder of The Head & The Hand Press and The Head & The Hand Workshop. 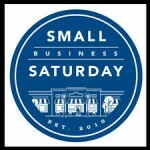 The Saturday of Thanksgiving weekend, November 28th, is Small Business Saturday. On this day, many indie bookstores invite authors to be guest booksellers. It’s fun for customers to come in and find the authors working in the store! Come meet some of the authors who live in our community as they take a shift guest bookselling at Open Book Bookstore on 11/28. 1pm to 2pm: Andy Schloss, author of cookbooks too numerous to mention here! Shop indie, shop local! Oh, and did we mention treats?